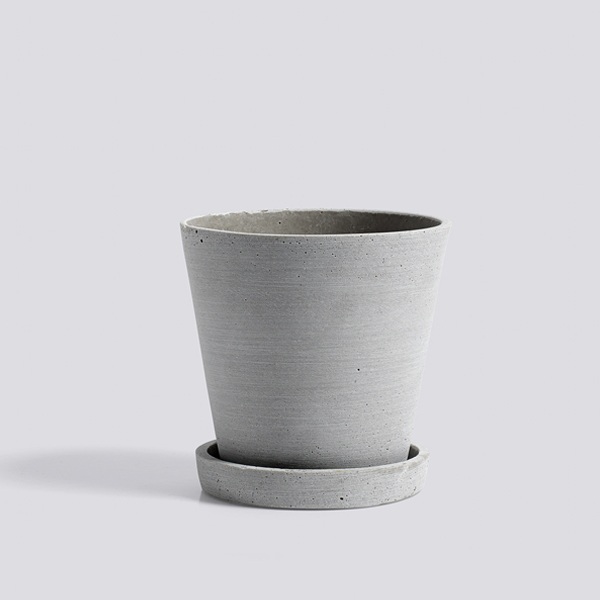 The HAY Flowerpot is a minimalist flowerpot with a saucer made of grey polystone, a modern cross between stone and plastic. 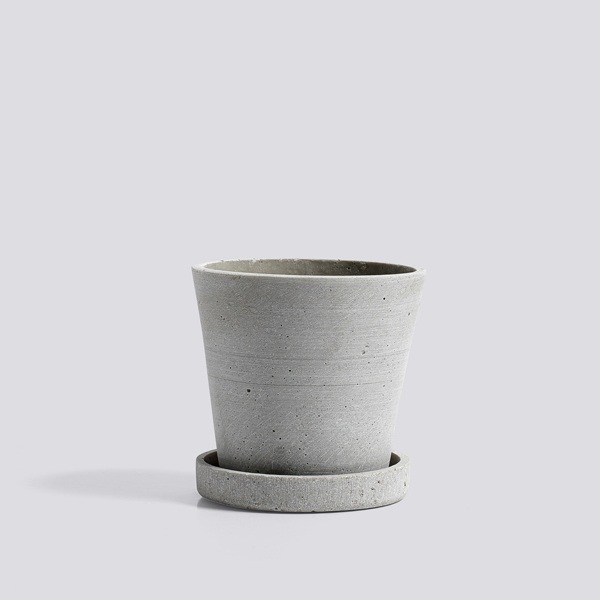 These pots are only available in store. 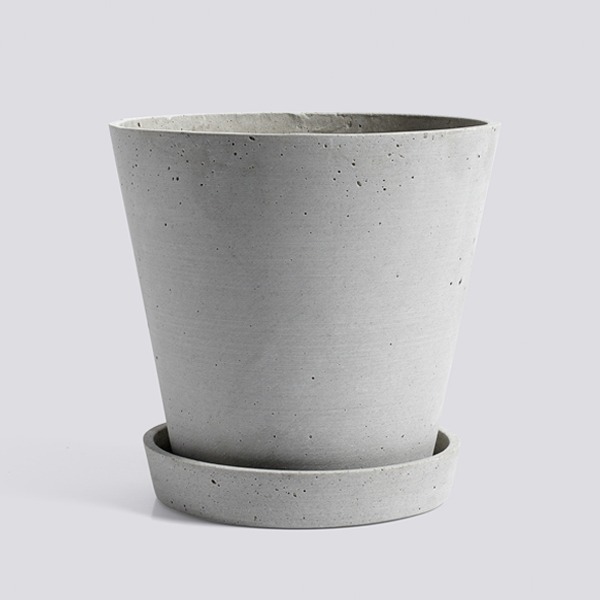 Due to the way in which these pots are made finishes and textures do vary.